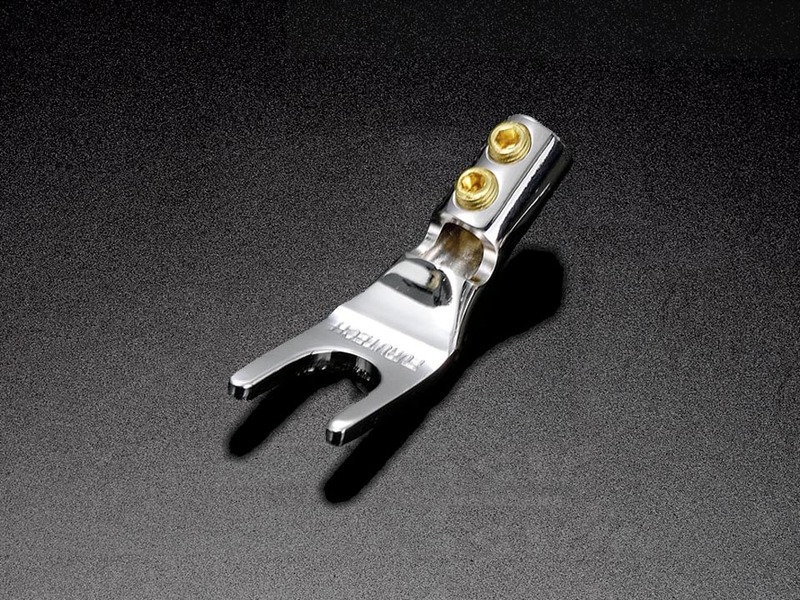 The Furutech FP-201R is a spade connector made with OCC (Ohno Continuous Cast) Copper thick plated with Copper over Silver over Copper and then Rhodium finish. This unit is made with the purest Copper available, then it is cryogenically treated and demagnetized even though no magnetic parts are present. The FP-201R is a 5/16" spade which will allow cable up to 6 AWG.